In the Hawaiian Islands, discover wonders along the palm-fringed coastlines, immerse yourself in traditional Polynesian culture, delight in mesmerizing rain forest hikes, and relax into the VIP treatment of Hyatt® Resorts in Hawaii. Add a car rental to your vacation to save an additional $25, for a total of up to $325 off per booking. Plus, enjoy a triple upgrade to your vehicle to make your drive much more comfortable. Feel the energy at Hyatt® Resorts in Hawaii on the islands of Maui, Kauai and Oahu, where endless activities, natural adventures and world-class amenities await you. Explore the excitement of Oahu at Hyatt® Regency Waikiki Beach Resort & Spa. Indulge in breathtaking views at Hyatt® Regency Maui Resort & Spa. Unwind in the graceful grandeur at Grand Hyatt® Kauai Resort & Spa, or savor the hidden gem of Andaz® Maui at Wailea Resort. Make the most of your vacation by exploring Hawaii with a rental car from Alamo, Enterprise or National. See the sights, take the family out to dinner, and explore all this fabulous destination has to offer with the freedom of a rental car. Plus, the primary driver may earn up to 500 bonus miles per rental and an additional 200 bonus miles per rental day, through the SkyMiles® Program in the U.S. and Canada.††Delta SkyMiles Membership number must be provided during pick up at the rental counter. The car must be rented in Member’s name to earn mileage. Only one SkyMiles Member per car rental will be credited with miles. Offer valid for rentals picked up at participating Alamo or National Car Rental locations in the United States and Canada. Please allow 6 to 8 weeks after completed qualifying rental for miles to be posted to your account. 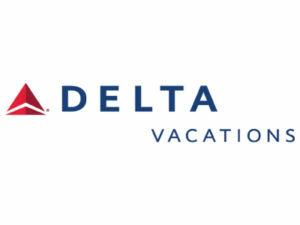 Service may be operated by Delta Air Lines®; the Delta Connection® carriers: Compass Airlines, Endeavor Air, Inc., GoJet Airlines, Republic Airlines and SkyWest; Delta Shuttle® carriers: Republic Airlines and Compass Airlines; or codeshare partners: Hawaiian Air, and SwiftAir. *Price is per person, based on double occupancy at Hyatt Regency Maui Resort & Spa, between Los Angeles and Maui. Monday departures and Saturday returns via nonstop service on Delta and certain Delta codeshare partners, includes a rental car (rental car taxes and fees not included), and is valid for specific travel dates July 8 – 13, 2019. Advance purchase requirements vary. Other travel days and dates and accommodations are available at other prices. May require travel on specific flights or times; blackout dates may apply. For travel within the United States and Puerto Rico ticketed prior to September 19, 2018, $25 USD fee for 1 checked bag and $35 USD fee for second checked bag. For travel within the United States and Puerto Rico ticketed on or after September 19, 2018, $30 USD fee for 1 checked bag and $40 USD fee for second checked bag. Allowances are subject to size/weight limits. Contact a Delta agent or see Excess Baggage(opens in a new window) for details. Purchase any Delta Vacations flight and Hyatt® Resorts in Hawaii package from any Delta Vacations origin in the U.S. or Canada to Hawaii, April 4 – May 24, 2019, for travel April 8 – December 31, 2019. At time of reservation, you must refer to promotional code DV32780. The hotel discount is based on the standard room charges of each of the participating hotels in Hawaii. 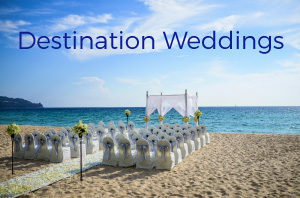 Participating hotels include: Oahu — Hyatt Regency® Waikiki Beach Resort & Spa; Maui — Andaz® Maui at Wailea Resort and Hyatt Regency® Maui Resort & Spa; Kauai — Grand Hyatt® Kauai Resort & Spa. 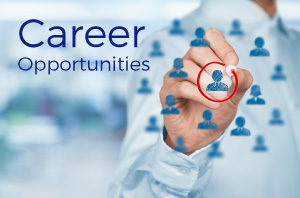 Minimum package purchase of $2,000 per booking is required. Package purchase includes flight and hotel; or flight, hotel and car rental, plus any optional activities. Discount is $50 off bookings of $2,000-$3,999; $150 off bookings of $4,000-$6,999; and $300 off bookings of $7,000 or more. Plus, $25 off with the addition of a rental car to the booking. Maximum discount is $300 off per booking; discount is a percentage of each eligible land component. Plus, $25 off with the addition of a rental car to the booking. Andaz® Maui at Wailea Resort: 1 free night is included when you stay 6 nights or longer. Grand Hyatt® Kauai Resort & Spa: 1 free night is included when you stay 5 nights or longer. Hyatt Regency® Maui Resort & Spa: 1 free night is included when you stay 5 nights or longer. Hyatt Regency® Waikiki Beach Resort & Spa: 1 free night is included when you stay 4 nights or longer. Complimentary breakfast valid per room, per stay.